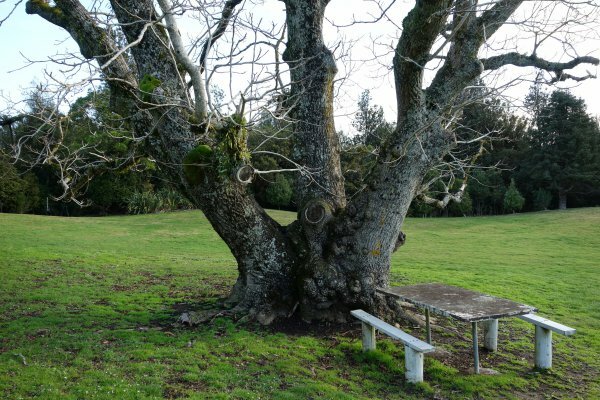 The last remaining of three walnut trees once located at this old historic site. 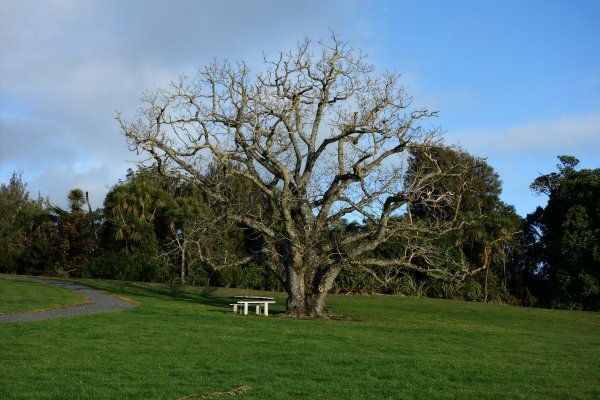 See the former large Japanese walnut WKR/0752 that was included as number 28 in Burstall and Sale’s 'Great Trees of New Zealand' (Smillie, 2014). This specimen is often referred to as the former Japanese walnut but a 2015 identification confirmed the tree to most likely be the hybrid between J. regia and J. mandshurica, generally known as Juglans ×sinensis (pers. comm, Wilcox, M. 6 April 2015). Fused trunk is noticably elongated in one direction. Signposted from Cambridge, the park is at the top of Maungakawa road. The tree is located a few hundred metres past the entrance gate.